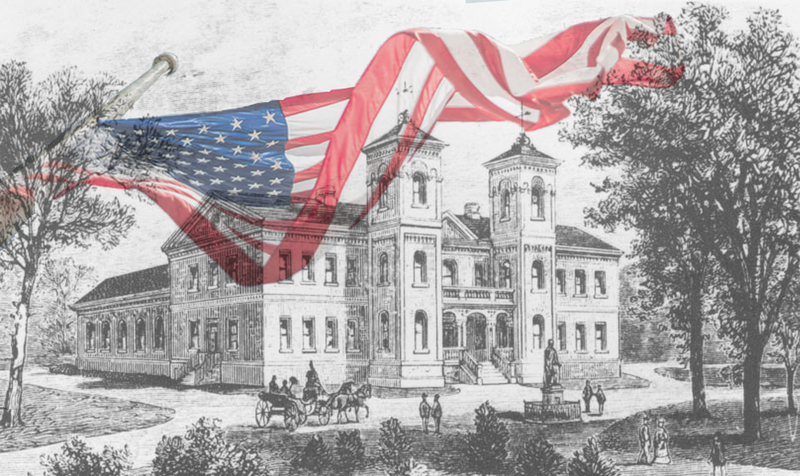 Niche took a look at the founding years of American universities, including those that went through name changes and are still in operation today, and compiled this list of Oldest Colleges in America. U.S. presidents like Thomas Jefferson and James Monroe went to this Virginia school, in addition to 16 signers of the Declaration of Independence. It may have been christened “St. John’s College” in 1784, but the school had its origins as “King William’s School” in 1696—Maryland’s first “free” school (“free” meaning to liberate students through education). The charter name of this school wasn’t too original (“Collegiate School”), but in 1718, it was renamed “Yale College” in honor of benefactor Elihu Yale, who served as governor of the British East India Company. Aside from allowing the college use of his name, George Washington also granted 50 guineas to this school in Chestertown, Md. Benjamin Franklin founded Penn (not to be confused with Penn State), which became the first academic institution to follow the multidisciplinary model used by European schools. Originally known by the name Bethlehem Female Seminary, Moravian College was founded as the first boarding school for women in the United States. Like William & Mary, UD alumni include signers of the Declaration of Independence, including George Read, Thomas McKean, and James Smith. Not only was Princeton originally founded as the “College of New Jersey,” but it was also created in order to train ministers. This school went through a series of designations before settling on Washington & Lee, including the name “Liberty Hall” during the American Revolution. The oldest institution of higher education in the State of New York was founded with the name “King’s College” before being renamed “Columbia” in 1784. The school was originally called the “College of Rhode Island,” but was renamed in 1770 following a gift from Nicholas Brown Jr. The long list of founders went on to sign the Declaration of Independence (Thomas Heyward, Arthur Middleton, and Edward Rutledge) as well as the United States Constitution (Charles Cotesworth Pinckney, Charles Pinckney, and John Rutledge). Located in Winston-Salem, N.C., Salem College is the oldest female educational institution that still operates as a women’s college. Dickinson initially started as a grammar school, but soon people started pushing for it to become a college. The conversation to found the college ended up taking place on prominent businessman and politician William Bingham’s porch. In addition to being known as one of the few men’s colleges remaining in the United States, Hampden-Sydney is also the last college founded before the American Revolution. The first college west of the Allegheny Mountains has alumni that include two U.S. vice presidents, two Supreme Court justices, and many other government officials. Three Princeton graduates (John McMillan, Thaddeus Dod, and Joseph Smith) founded this college in Washington, Pa., where it originated in three log cabin schools. The University of Georgia is the United States’ first state-chartered university and also the oldest and largest institution of higher education in the state. UNC Chapel Hill is the oldest public university in the nation based on the start of its public instruction.